When I was in still college, more than a decayed ago, I thought that nothing could beat my Sony earphone with dynamic drivers. But that all changed when I first encounter Balanced Armature drivers and custom IEMs. It is like comparing a video with 480p resolution vs a full HD 1080p. 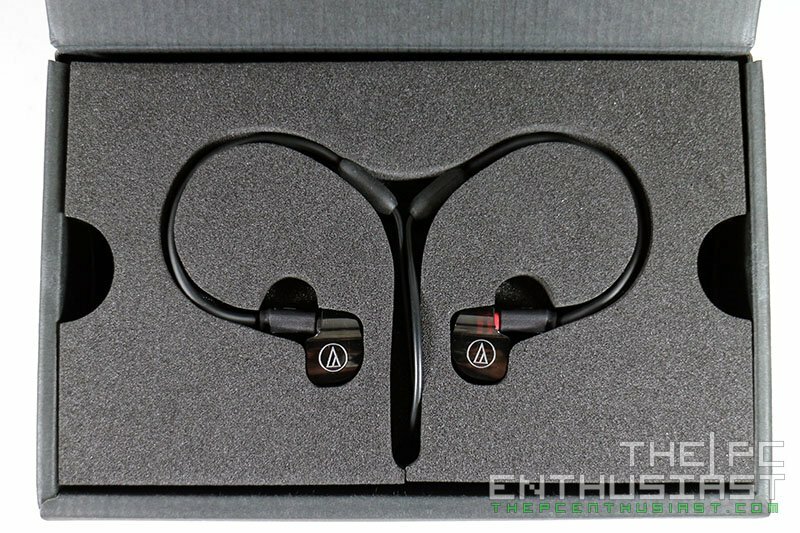 Today we are going to look and review the Audio Technica ATH-IM02 In-Ear Monitor headphone, featuring dual Balanced Armature drivers. I know you must have read from somewhere else that this is a fantastic pair of IEM. It even got a perfect 5 out of 5 stars from satisfied customers. But is this IEM for you? Will it fit your taste? Find out in my ATH-IM02 review below. 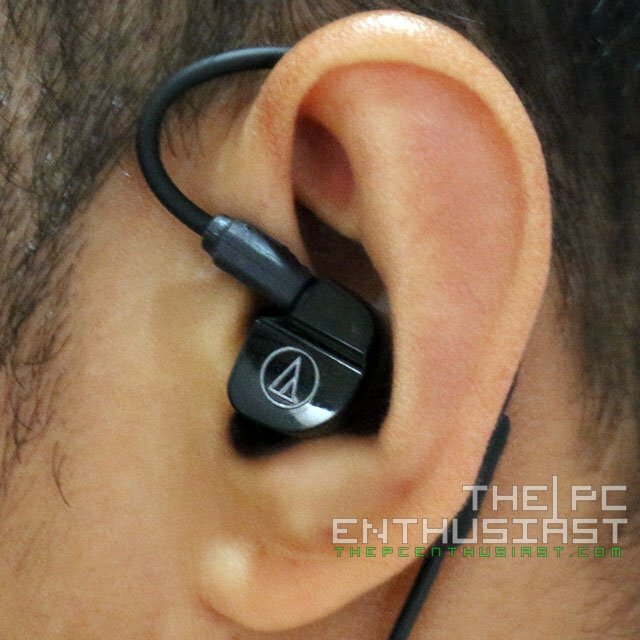 According to Audio Technica, the ATH-IM series features three important components: sound, fit and functionality. The ATH-IM02 has two balanced armature drivers for pure sound reproduction and has a horn-shaped conductor pipe to reduce acoustic radiation resistance. The shape of the ATH-IM series was also designed to fit and seal within the ear to achieve the ultimate in-ear monitoring experience. 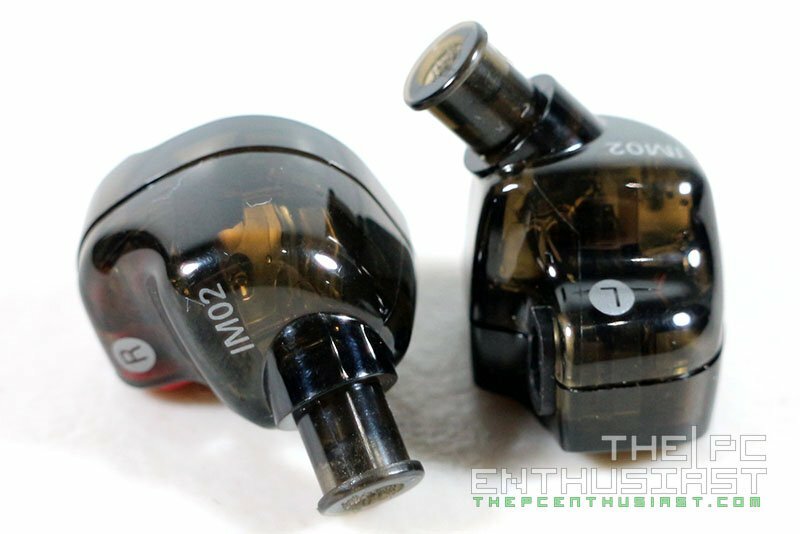 Just like most IEMs, the ATH-IM02 features detachable cables with remoldable or formable wire near the earpiece that not only adds convenience, but improves fitting as well. Let’s check out more of its features as we take a closer look on the ATH-IM02 below. Below is also the complete technical specification on the IM02. 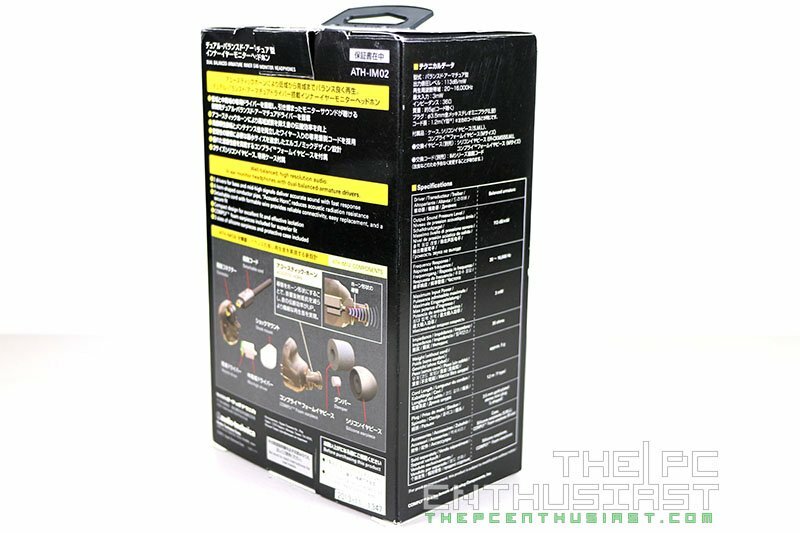 The Audio Technica ATH-IM02 comes in a nice box with most of its features and specifications printed all over the box. The print may look confusing because the Japanese characters are more dominant, but there are English translations as well. This is due to the fact that the ATH-IM series, as far as I know, is made in Japan. The outer box is just a facade, and inside it is another box that securely holds the ATH-IM02. 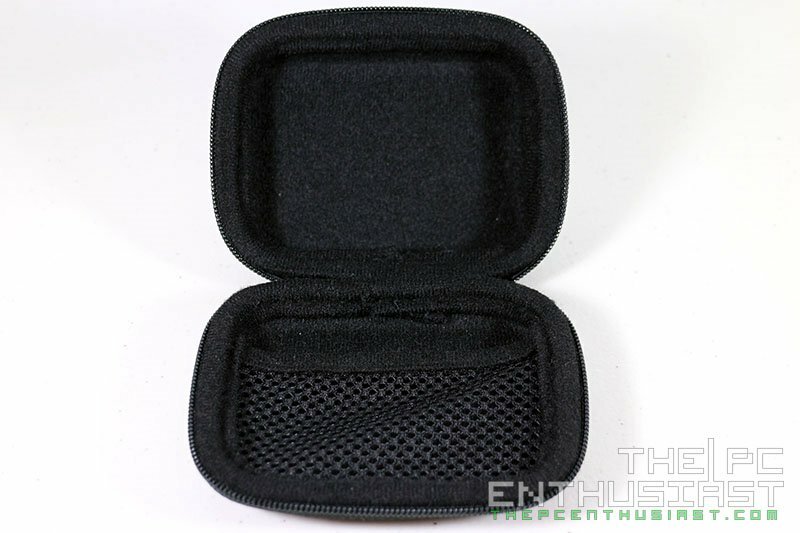 Opening the inside box will immediately reveal the IM02 securely placed in a thick foam. The included accessories are hidden under this foam. The Audio Technica ATH-IM02 didn’t come with lots of accessories. You only get a small carrying case, and silicone earpieces that come in sizes small / medium / large, and a Comply™ foam earpiece, medium size. By the way, the medium silicone earpiece is already attached to the IM02 out of the box. Honestly, I was a little bit surprised to see that it didn’t came with many ear buds or earpieces in different types and sizes, unlike with the Ultimate Ears 900s or in the RHA 750i. I was worried that none of the silicone would fit my ear. But luckily the large ear buds worked for me. 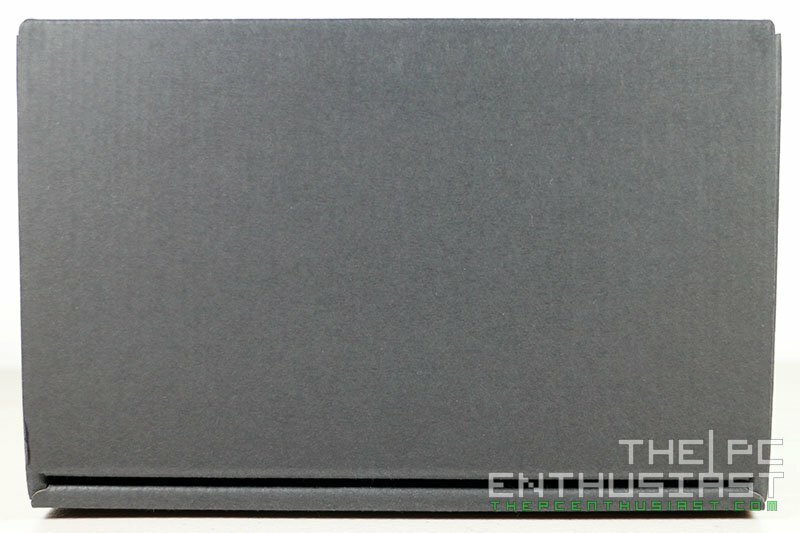 Here we have photos of the ATH-IM02 right out of the box. 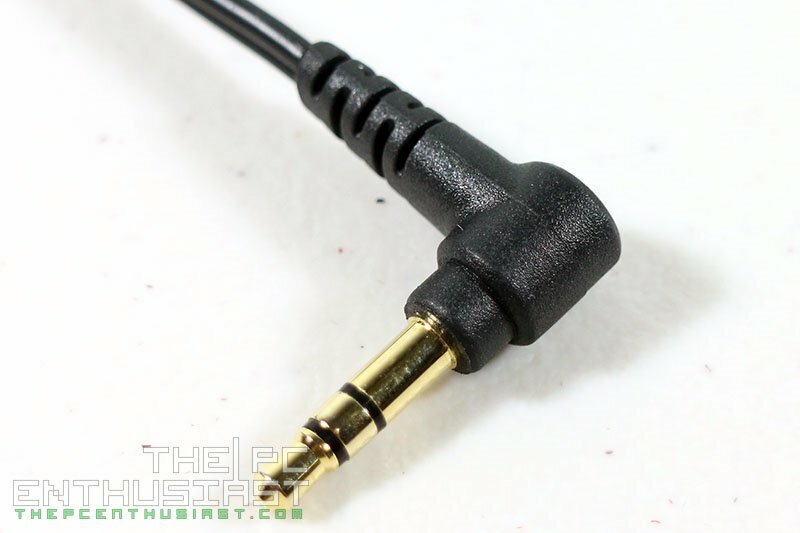 The cable near the connector is remoldable, like I said earlier, and can be contoured according to the shape of your ears. It’s noticeably thicker compared to the rest of the portions of the cable. Above are photos of the Y-split section and the 3.5mm gold plated plug. 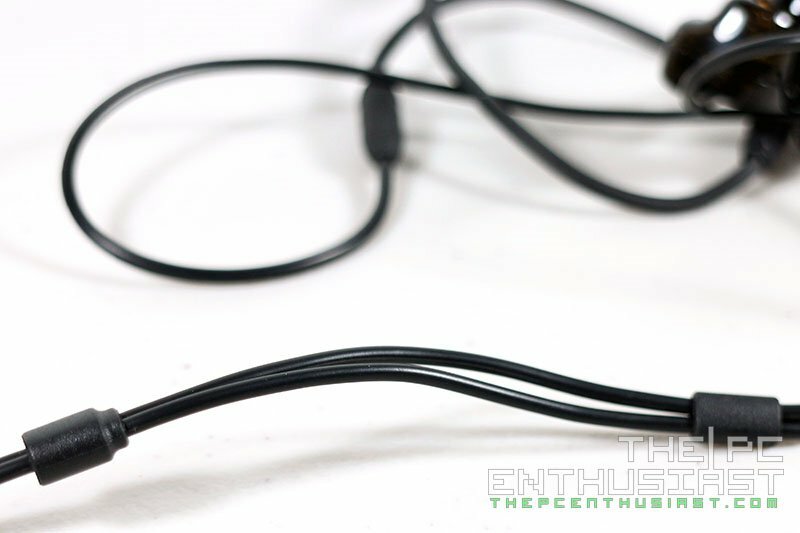 The cable of the ATH-IM02 is somewhat thicker, but it feels sturdier and doesn’t seem to tangle easily. The cable is pretty much a standard black cable. And if you want to replace it with some OCC or silver plated cables, there are upgrade cables available. 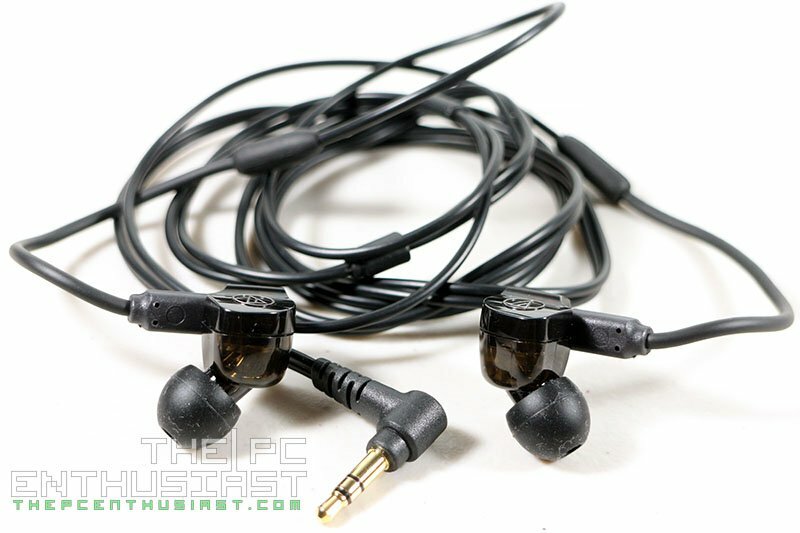 You just need to lock for a trusted audio store that caters replacement cables for headphones and IEMs. 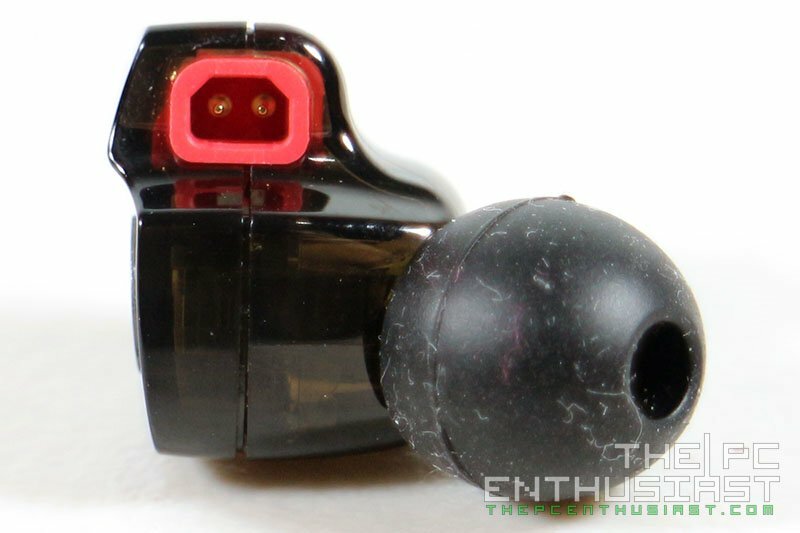 The Audio Technica ATH-IM02 uses a different type of plug, not the typical 2-pin or MMCX. 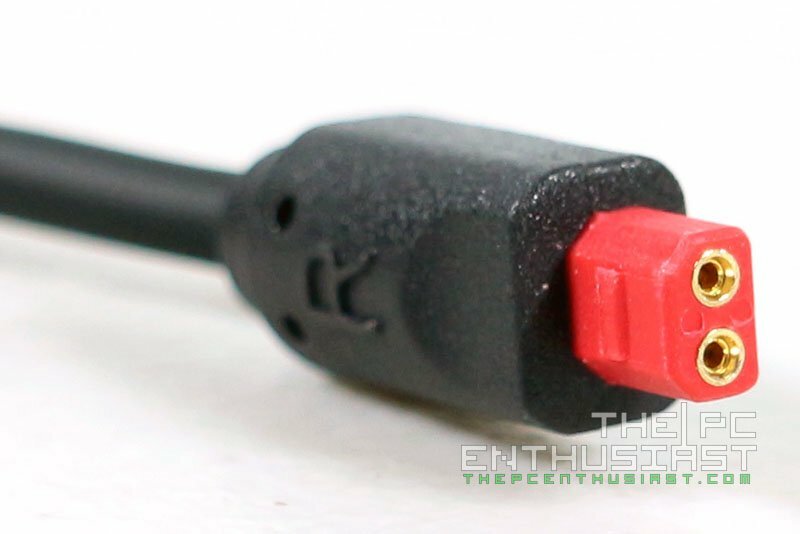 In a sense, it’s still a two pin type connector, but the female portion is with the cable. The plug is also shaped in a way that you can only insert the plug in one position. Plus there is a small protruding portion that locks the plug in place. 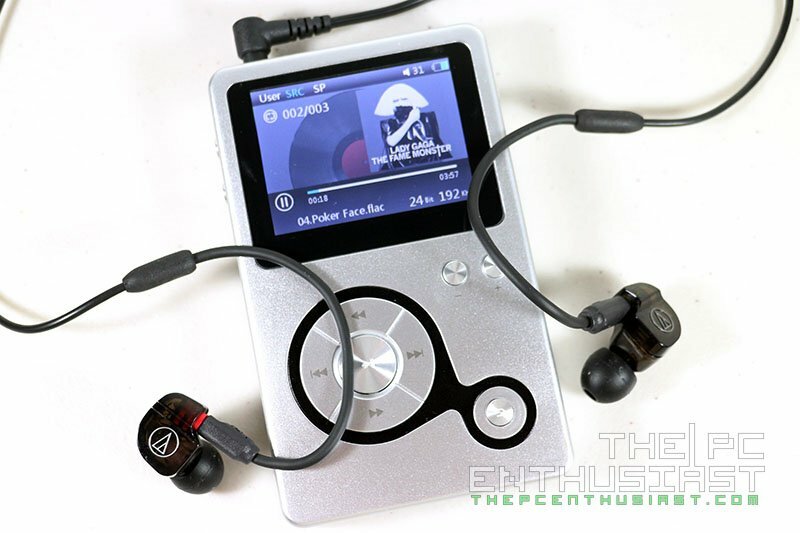 The ATH-IM02 uses a translucent casing were you can partially see the dual Balanced Armature drivers inside. The left and right drivers are color coded, Red for right channel and Black for left channel. 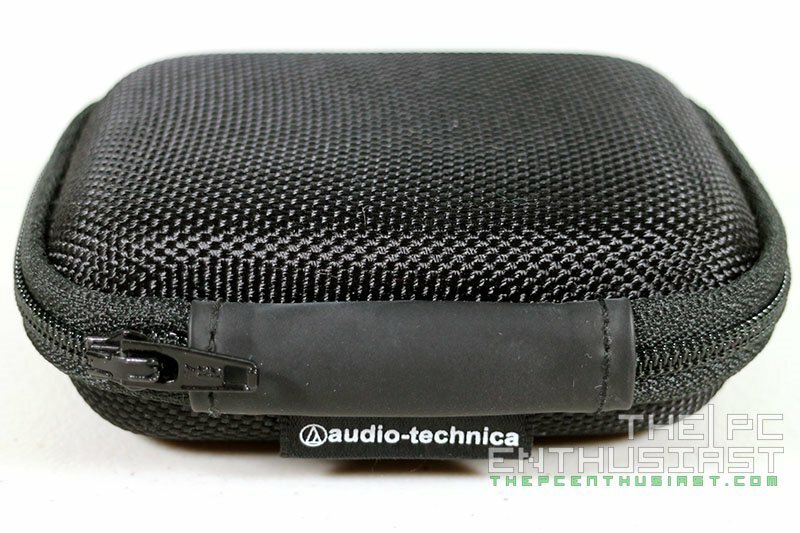 Audio Technica’s logo is embossed on the front surface of the ATH-IM02. Also notice that the holes (sound tunnels) has filters on it. Aside from the Black and Red color coding, there’s also an L and R sign indicating Left and Right. The shell of the ATH-IM02 might look big, but it’s actually a tad smaller compared to the IM03 and IM04. For me it was easy to wear the Audio Technica ATH-IM02, most probably thanks to the design of its shell. The fit was just right, although I am experimenting with other ear buds, looking for that near-custom-IEM fit and seal. The Comply ear buds give the best fit and seal for me. It also enhances or reveals the bass more, but the highs seemed to become darker or its presence was reduced. 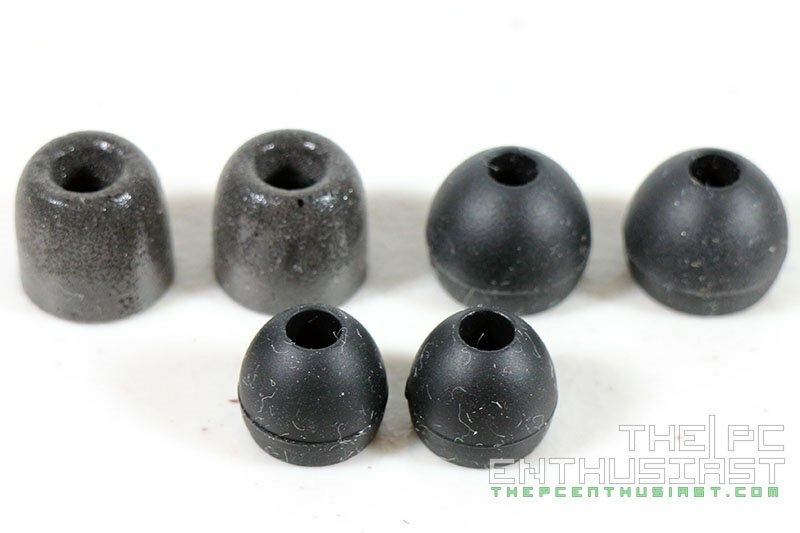 Using the silicone ear buds resulted in a more natural, balanced and accurate sound. But it’s a little bit challenging to use the silicon buds and it’s also hard to get a good seal. 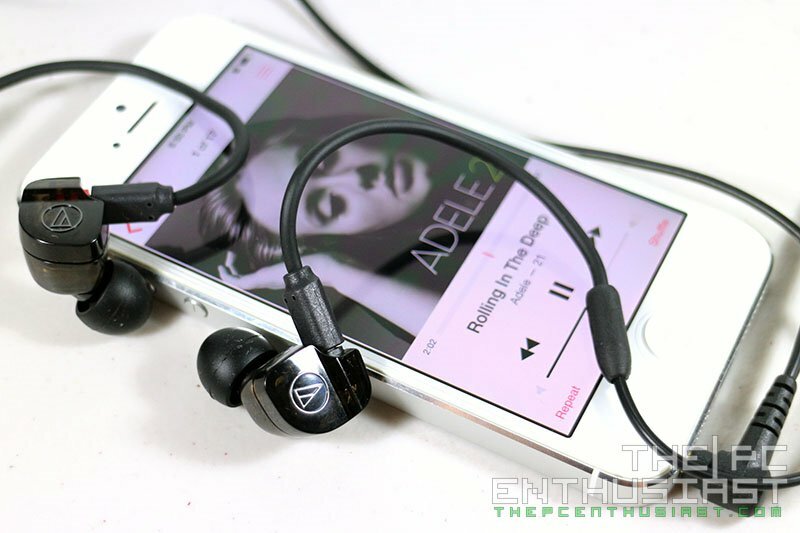 In testing the Audio Technica ATH-IM02, I used both my iPhone 5 and the Hidizs AP100 as my music source. I also used the following DAC/AMps while testing the ATH-IM02: iFi Nano iDSD, Encore mDAC, JDS Labs Objective2+ODAC, and ARCAM rPAC. I haven’t tried the other ATH-IM series so I have no idea how the other IM series would sound like, and in comparison with the ATH-IM02. But for comparison purposes, I compare it with Heir Audio 3. Ai s and Ultimate Ears 900s. I have been using the ATH-IM02 for several weeks now, before taking down notes regarding its sound quality. 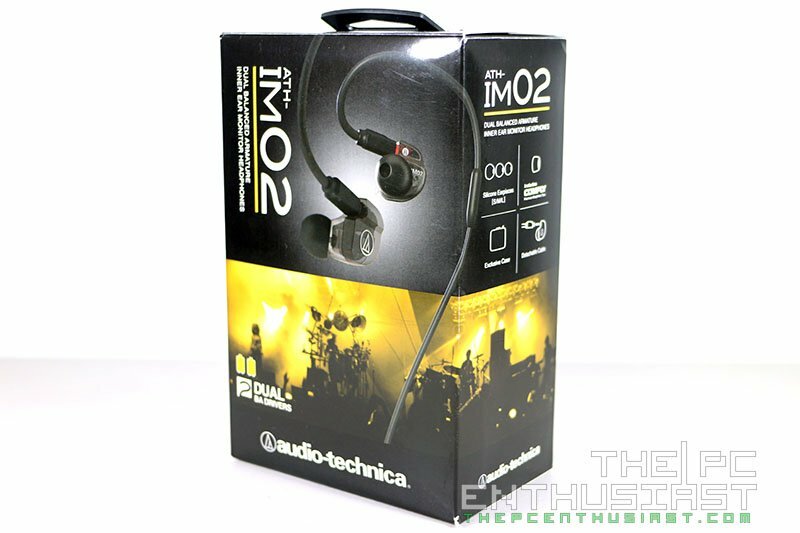 Generally speaking, the ATH-IM02 has a well-balanced transparent sound, with great midrage and highs, and not much with the bass. The bass is not absent in the ATH-IM02. It’s definitely there, it’s just that the bass presence is lesser and it’s closer or with the same level as natural bass. It’s not punchy neither boomy, and definitely not for bass heads. However, like I said earlier, if you use the Comply ear buds, bass becomes more revealing a little bit. But I didn’t like its overall effect, since it became darker and the highs became less present. I haven’t tried shorter Comply ear buds since I only tested the one that came with the package. Oh almost forgot to mention, the bass or low has one dedicated driver, meanwhile the mids and high shares one smaller driver. But despite that, the midrange actually performed very well. The sound is revealing making vocals sound very clear and natural. Both the mid and high area are rich and clean, and I think this is more of an analytical type of IEM. Poorly encoded audio, specially MP3s with low bit rate tends to go really bad, and you can clearly tell that you are listening to a bad record. However I didn’t find any problems with lossless files, as they sound great and natural. I can also say that the treble portion is not too bright, neither sibilant nor harsh. When I compare the Heir Audio Ai.3s, the Ai.3s is brighter than the ATH-IM02, almost near sibilant and sometimes its highs can be harsh depending on the music. But I think when it comes to clarity and detail, I like the Ai.3s better than the IM02. When compared with the UE 900s, the UE 900s is more detailed and better sound staging. More aspects of the sound are produced, and I think this is due to the fact that the UE 900s has two more BA than the IM02. Bass is noticeably present with the UE 900s, somewhat punchy but not too boomy. It has a warmer sound signature than the IM02. 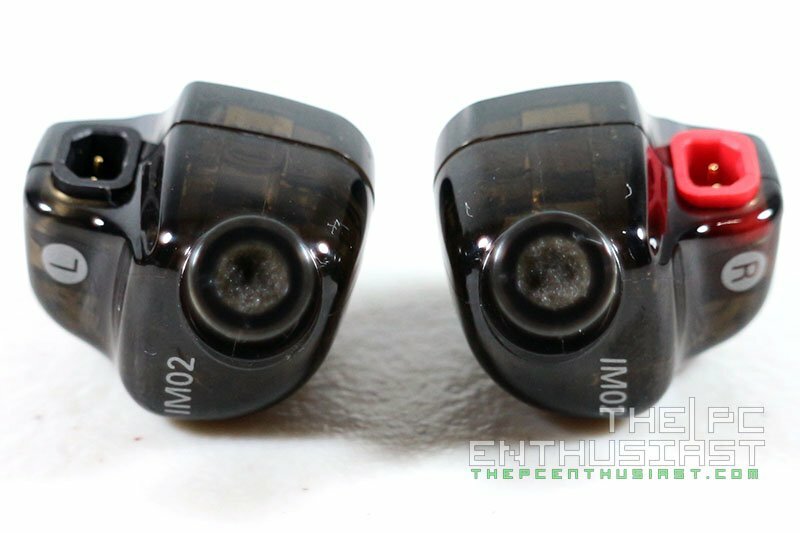 However, I find the UE900s somewhat darker compared to the IM02. In terms of brightness and sparkle, I think the IM02 has more of it than the UE 900s. With the current set of the DAC/AMPs I have, I didn’t find any abnormalities or distortions when I paired the IM02 with them. There might be some little changes from one DAC/AMP to another, but not to the point that the IM02 sounded bad and should never be paired with that particular DAC/AMP. I’ll try to update this in the future as I acquire more DAC/AMPs. 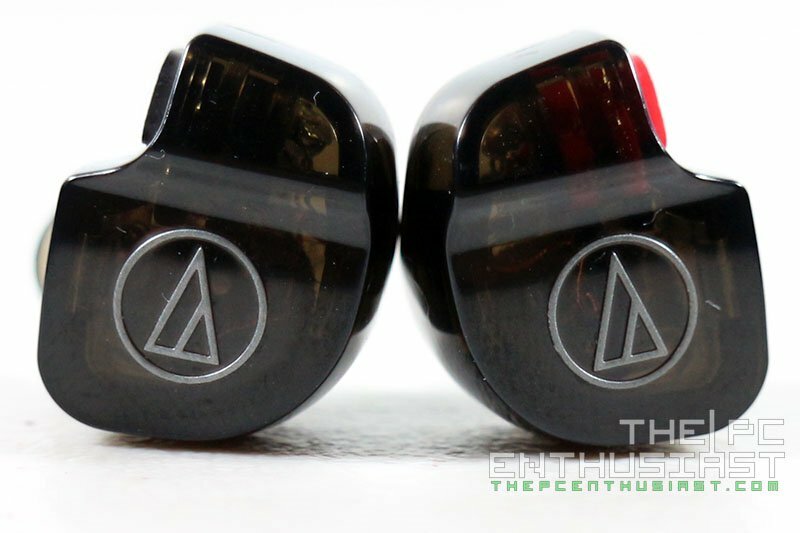 The Audio Technica ATH-IM02 Balanced IEM is very much available now together with its siblings, the ATH-IM01, IM03, IM04, IM50 and IM70. It has a manufacturer’s suggested retail price of $299.95, but I see some online retailers are selling it for as low as $165 USD. Audio Technica is also offering a two-year limited end-user warranty. 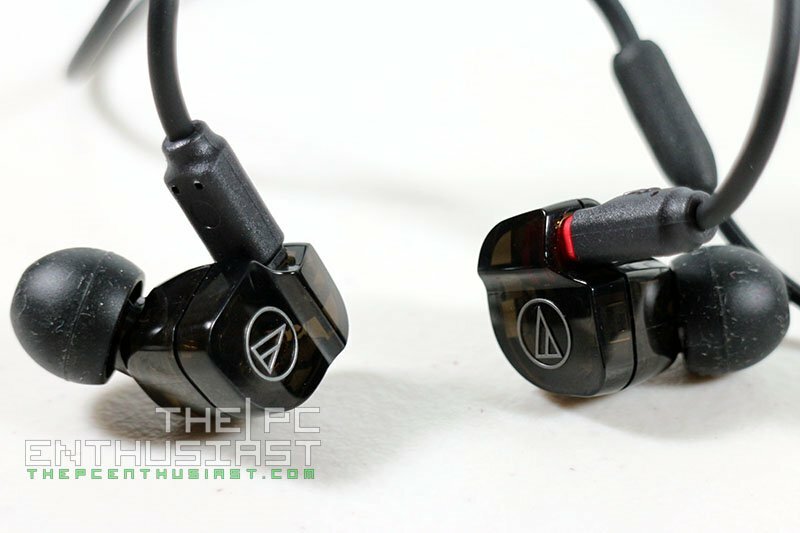 Overall, the Audio Technica ATH-IM02 is a well-rounded in-ear monitor and I think you can safely listen with this IEM jumping from one genre to another. 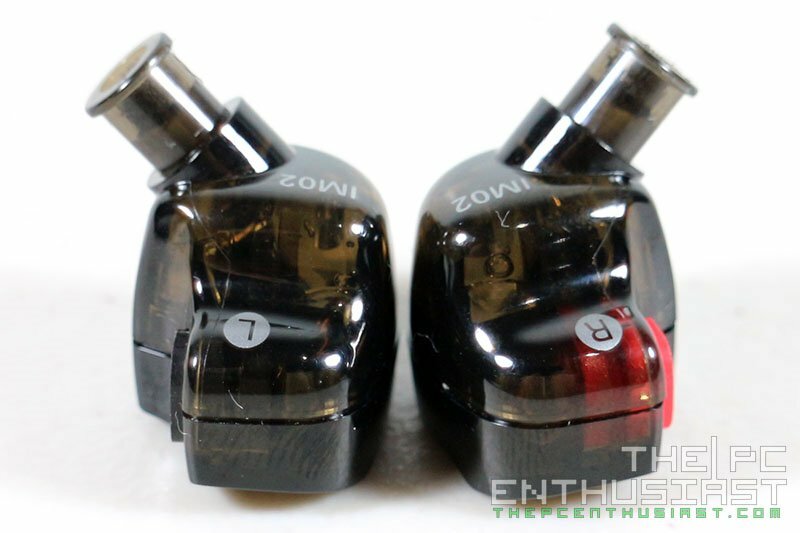 Well except for bass lovers, you will find this IEM week in terms of bass. In terms of build quality, yes, it’s solid, the cable feels durable as well, and the type of connector they used won’t be unplugged easily. The unique design of its shell, although looks somewhat bulky, is actually comfortable to wear for me. My only real problem was with the ear buds. For me, the silicon produced the best sound but it also tends to slide from my ears easily. It was a bit challenging to finally get the IEM right in place with the silicone ear buds. It was never a challenge with the Comply, but like I said earlier, I didn’t like the sound it produced when I used Comply ear buds. I don’t have much further to say really, other than it’s an analytical IEM, with the mids and highs having natural tone and sparkle on top of it. Voices sound sweet, the sound of the guitar and acoustics are just great with the IM02. Perhaps if you are looking for something more, like warmer sound or more detail, I think the IM03 or IM04 may fit your taste. 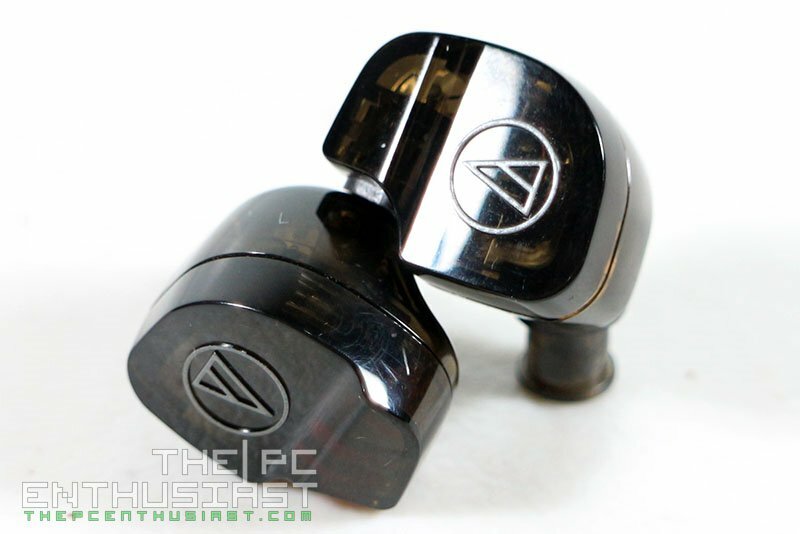 But for now, the Audio Technica ATH-IM02 is a highly recommended IEM, specially if you are looking for a sub $300 or even sub $200 in-ear headphones. BitFenix Flo Headset Review – Go with the Flo?